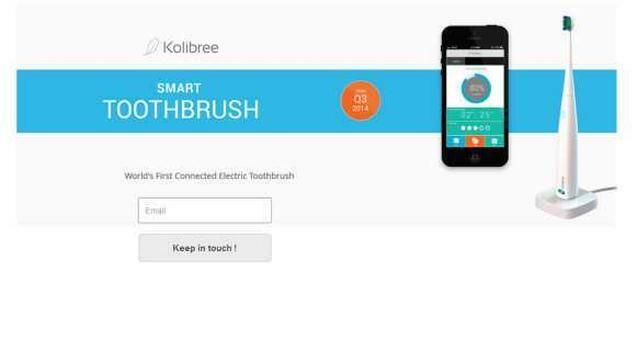 French based startup Kolibree launches internet connected toothbrush for smarter brushing. 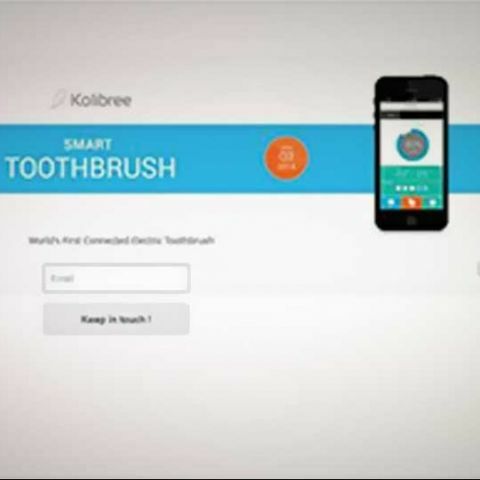 Kolibree has unveiled world's first internet connected toothbrush at the CES 2014 in Las Vegas. The smart toothbrush will analyze the users brushing habits and is aimed at improving dental hygiene. The Kolibree toothbrush comes with a built in sensor that detects how much tartar is being removed in a brushing. It records the customers brushing activity and communicates the information wirelessly to a smartphone app. The device will go on sale later this year and will "tell you whether you brushed long enough and reached the hard-to-reach but important parts of your teeth and gums" stated Cessot. Kolibree started by Cessot and former Microsoft and Google executive Thomas Serval, will launch the brush later this year along with a free smartphone app via Kickstarter. The smart toothbrush will be available from $99 to $200 depending on the model. 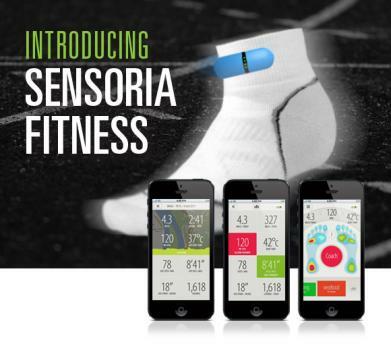 CES 2014 also saw the launch of new wearable technology devices including 'Smart socks' with inbuilt sensors that detect users each footfall. The $185 socks track how a user's foot hits the ground, the rhythm of each footfall and calculates the stride length and will be helpful in alerting people to possible injury. The smart socks will be launched in March this year by Heapsylon, the company behind the new ‘Sensoria’ range of products.